We are gearing up for Halloween around here and I thought I would round up my eyeball party ideas. Grab a few or more of these ideas to throw the ultimate Halloween party. There will be eyes in the food, decor, and more! Make your home the spookiest on the block! 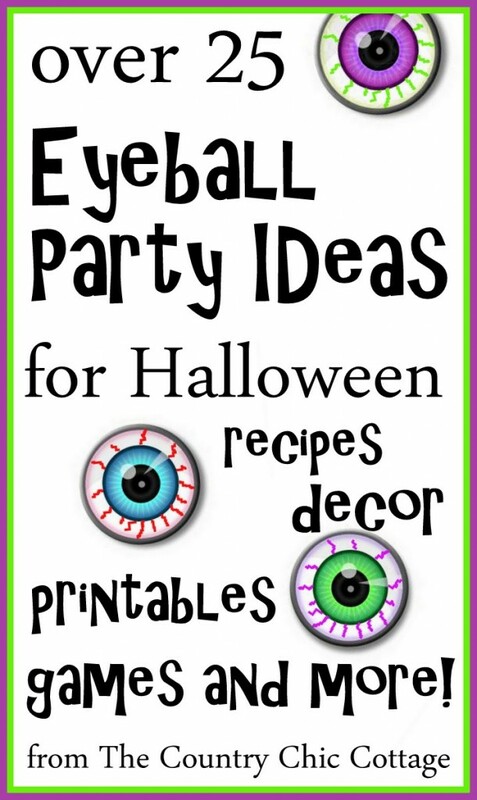 I hope y’all enjoy these spooky and fun eyeball party ideas. Are you going to try an eyeball theme with your Halloween party this year? Spook it up with a few of the ideas above! These are such great ideas! What a creative way to celebrate Halloween. We made monster eyeball necklaces for our Halloween goodie bags one year and they were a big hit with the kids.